FLAMIN are delighted to announce that three major artists’ moving image projects have been selected for FLAMIN Productions round 8. London-based artists Jasmina Cibic, Billy Dosanjh and Patrick Hough will receive development finance for bespoke mentoring and advice. Each artist will also receive a bursary of £1,000. After a period of development of up to six months, the artists will then be invited to re-submit their projects to be considered for production funding of £30,000. This film will address the concept of a political gift; a donation of artistic, architectural, political or philosophical thought, to national and ideological structures. This twenty-minute three-channel film will investigate how gifting is embedded within the landscape of Europe’s identity formation, exploring particularly intriguing examples of gifts of architecture, art, music and dance. Jasmina Cibic works in film, sculpture, performance and installation to explore ‘soft power’ – how political rhetoric is deployed through art and architecture, particularly examining how cultural production is used by the state to communicate certain principles and aspirations. Through unfolding the complex entanglements of art, gender and state power, she encourages viewers to consider the strategies employed in the construction of national culture. Cibic represented Slovenia at the 55th Venice Bienniale. Her recent exhibitions include solo shows at DHC/ART Fondation pour l’art contemporain Montreal; BALTIC Centre for Contemporary Art, Gateshead, UK; Museum Haus Esters Krefeld, Germany. Cibic was shortlisted for the Film London Jarman Award in 2018. A long form film, NNFHYEME will comprise chronicles from the artist’s background and upbringing in the area of Smethwick, approaching issues his community faced in relation to migration and belonging at the half way point of their British experience. This single channel installation film explores themes of out of context lives, family, adolescence, alienation and reconciliation. It also combines investigations into the great journey’s effects on the neurological processes of memory and identity. 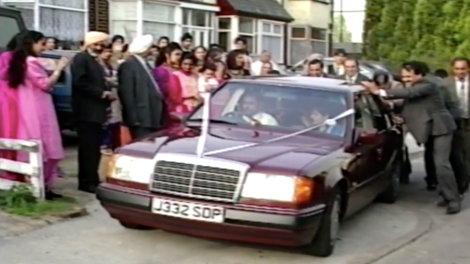 Billy Dosanjh is a visual artist and documentary-filmmaker whose work investigates race and the working class diasporas in and around Smethwick, the de-industrialised factory town where he grew up. His work explores the personal stories of early immigrant life in the Black Country and points to their lack of representation in mainstream culture. Dosanjh received the Satyajit Ray Award and was shortlisted for a Grierson Award. Recent exhibitions include New Art Exchange, Nottingham, UK and Art India, Mumbai. In 2018 he participated in Blast! Festival, Sandwell and Flatpack Festival, Birmingham, UK. This single channel film installation will shift the conceptual focus away from his previous area of research around history represented in cinema, to new explorations around deep time, ecology, technology and the Anthropocene - the current era of human induced planetary change. The film examines Algae (specifically cyanobacteria – the bacteria that make oxygen via photosynthesis) as an actor that has shaped all life on earth, from the deep past through to the near and distant future. Patrick Hough predominantly uses digital media in order to investigate various historical and contemporary narratives and often uses props or artefacts to reference specific incidents from a range of cultural histories. Hough received a PLASTIK Award, and was also the recipient of a 2016 Jerwood/Film and Video Umbrella Award. Recent exhibitions include Artist Film International, MAAT Lisbon, Portugal; Solstice Arts Centre, Navan, Ireland; Jerwood / FVU Awards, Firstsite, Colchester and Jerwood Space, London, UK. This project has been awarded funding by the Arts Council of Ireland.